Originally published in the Seattle Weekly, September 2017. By Gord Hill, Kwakwaka’wakw. 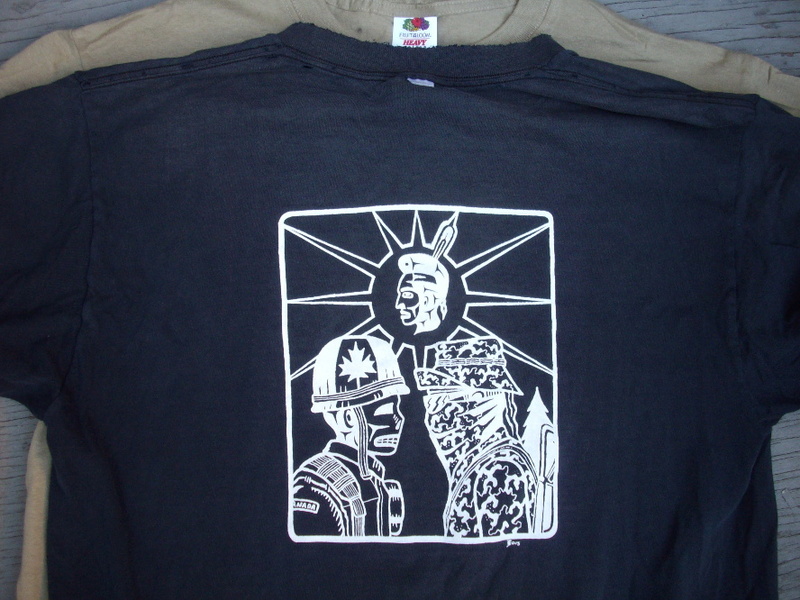 One of two new designs, this one features the iconic image from the 1990 Oka Crisis depicting a masked and armed warrior confronting a Canadian soldier. There are two new t-shirt designs that can be ordered from Warrior Publications. One is a design to mark the 25 year anniversary of the “Oka Crisis”, the other a west coast version of the Warrior flag, both by Kwakwaka’wakw artist Gord Hill. In addition, we also have black t-shirts in stock for all 5 T-Shirt designs.